The bathroom is arguably the most important, if not most used room of any home. In terms of investment, the bathroom can actually grant you a good ROI (return on investment). Remodels can cost anywhere from $200-$25,000, leaving many people to wonder where they can save. It is important not to skimp on the wrong things for it could decrease the functionality of your bathroom; a mistake that will ultimately cost you more. At the end of the day, your number one priority should be functionality. Follow our guide to see where to save and where to splurge. Want a realistic estimate on how much your bathroom remodel would cost? 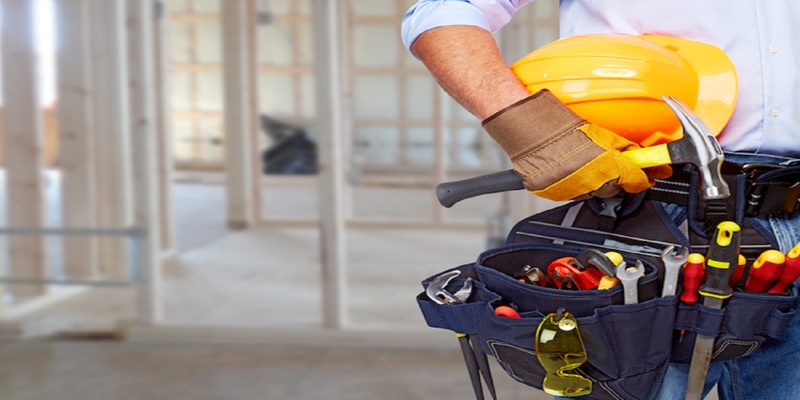 Talk to our contractors for free quotes! For a DIY remodel, check out our how-to and cost guide for bathroom remodels! No one has ever bought a home because they loved the toilet. If it's clean and it works, everyone is happy. Yes, there are toilets have heated seats and respond to voice commands, but honestly, it's not worth the splurge and doesn't have a good return on investment. Want to know how much it is to install a toilet? Check out this guide. Flooring tile's job is to be slip resistant and water proof. Instead of purchasing high-grade stone tile (which absorbs moisture), stick to ceramic or porcelain tile. Porcelain tile can even be made to look like high-grade stone tile, and in terms of functionality, ceramic and porcelain tile are water-proof, and harder to damage. 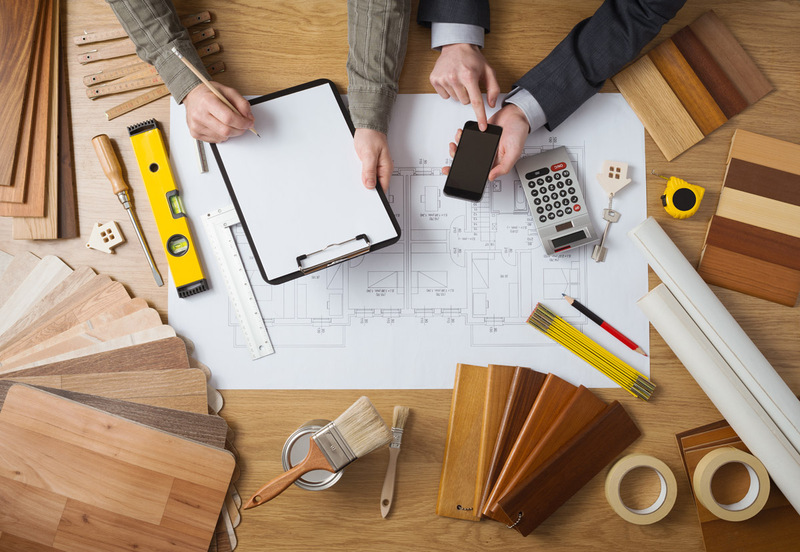 If you need help picking out flooring, read our guide! Also think about adding backsplash to the wall above your vanity to add some artistic design. If you want to give your bathroom an extra wow factor, splurge a little on some decorative shower tile. The space inside of a shower is small enough that even if glass mosaic tile is $30 per square foot, you're only covering 2.5x5 feet. 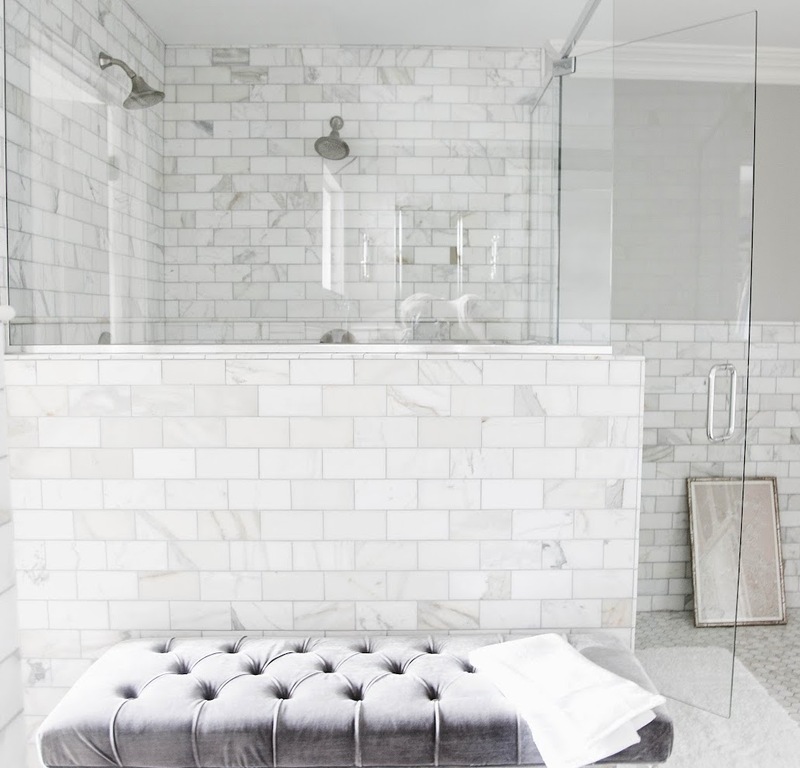 Check out our guide to shower tile to see more examples, or check out how much it would be to tile your shower with our cost guide! Installing tile is harder than it looks, if you need help you can contact our contractors for free quotes without any pressure. Lighting is essential but not something you need to splurge on. You can save on energy efficient lighting. The most important thing to remember when installing lighting is to place it so that no shadows are cast. Shadows make it hard to shave, put on make up, and so on. 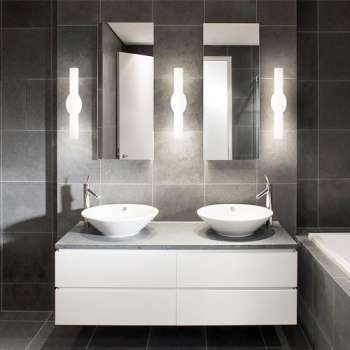 Place lighting above the vanity, where the vanity and counter meet, and overhead. While expensive tubs come with a multitude of luxurious functions, they are prone to breaking. Furthermore, expensive tubs are no good for returns on your investment. If you're going to splurge on a nice tub, splurge on it for yourself. 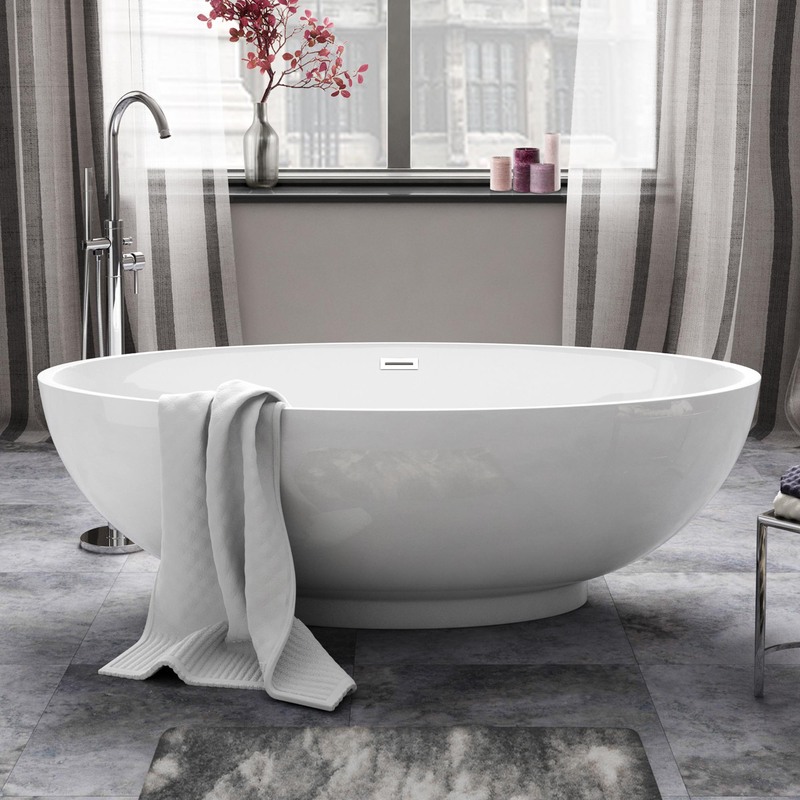 Fiber glass acrylic tubs range from $150-$4,000 and look perfectly in place in new bathrooms and are more practical for a good return on your remodel. Counter-tops lie in between splurging and saving. You can buy laminate counter tops that look like granite to save more than half the amount you would spend on real stone counter tops. However, stone counter tops are easier to clean and have a better return on your investment. If it is in your budget we would recommend that you go with stone counter tops. 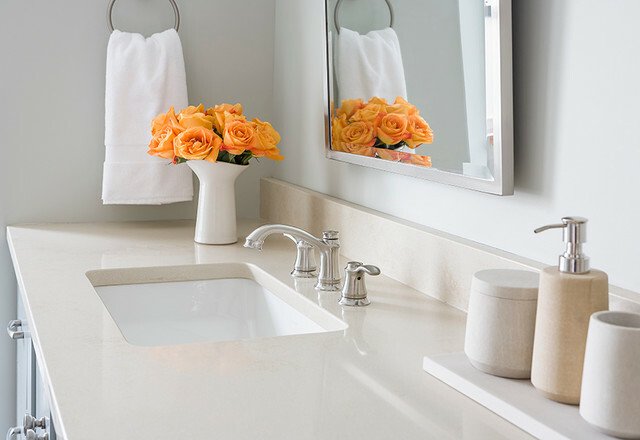 You should definitely splurge if you intend for your counter tops to be the focal point of your bathroom. If you are focusing more on the tile or backsplash, then it would be okay to spend less. Need help with installation? Fill out our countertop installation questionnaire and get responses from licensed, bonded, and insured contractors to help you with the job. 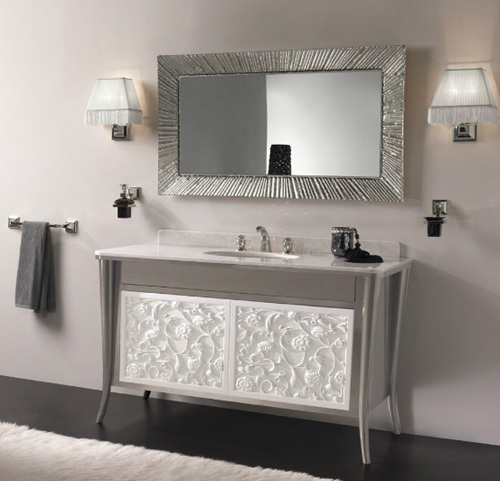 You will want to splurge on a vanity. They are good for return on investment and they will be a focal point of your bathroom. Look for vanities with lots of storage, and keep in mind that you will be opening and closing it daily. Soft close drawers and cabinet doors are a must to avoid damage. Your vanity should be practical, be easy to clean, contain an abundance of storage, and be visually appealing. To save on a vanity, consider purchasing or re-using a vintage dresser! Splurge with caution. Don't purchase a shower head with functions like aroma therapy, or too many different water pressures if you're looking to save some money. Often times these shower heads are very hard to install and require their own water line. Take caution when shopping. Your biggest priority should be to purchase a shower head that looks nice and will last. 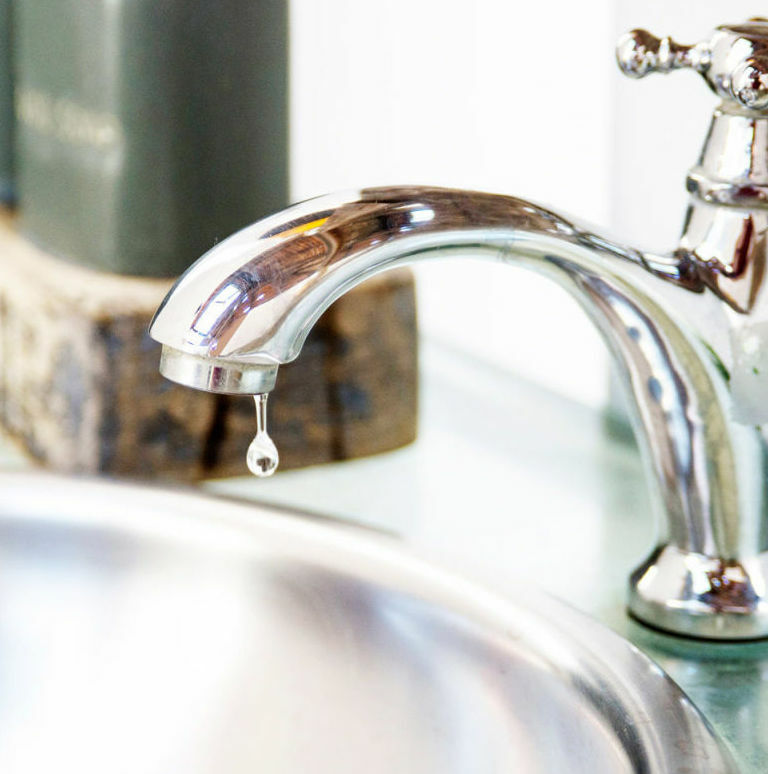 As for sink heads, you will want something that works, looks nice, and is easy to clean. Your sink will come into contact with the most germs, so it is important to get a quality fixture that is easy to clean. 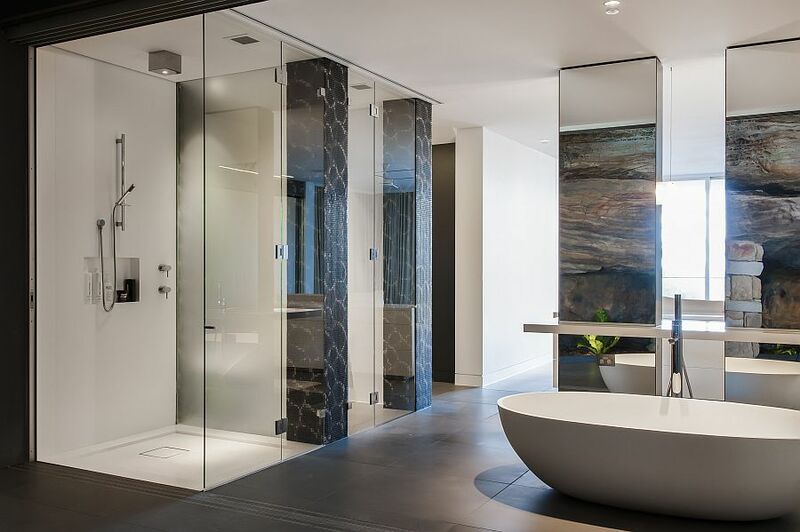 If you have a shower, it would best to install glass doors for the best return on investment. Not only do shower doors increase the value of your home, they are easy to clean and visually appealing. If it's in the budget, glass doors are a must. 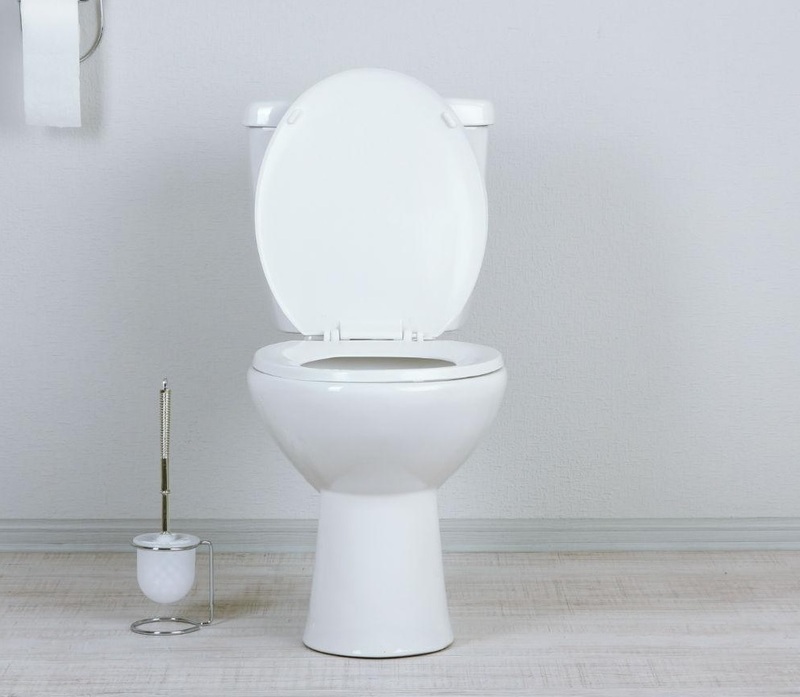 Before purchasing a new toilet, try considering replacing it's lid and seat. The new features can do wonders for a face lift. For smaller restrooms, use open shelving. It is cheap and creates the illusion that there is more space. To save the most money, don't move any of the plumbing. Keeping the main structure of your bathroom will save you thousands. It is much easier and much cheaper to replace the tub and the toilet than it is to move them. If you are replacing your mirror you can dress it up by purchasing a mirror in a frame. Not only do they look nice, they are in abundance at thrift stores. Ready to get started? Great Pros is always here to help with your remodel needs. Fill out our questionnaire and get responses from licensed, bonded, and insured contractors to help you with the job. Compare prices and profiles and get the best price for your project!